I don’t want to talk bad about the union. The KEA put out a good call to educate the people in our community about the attacks on pensions and schools. And they’ve done a good job of getting people to the capitol every day over last few weeks. We’ve had rolling protests in Frankfort throughout this whole session. Last Thursday was the fifty-eighth day of the legislative session, so the session was almost finished. 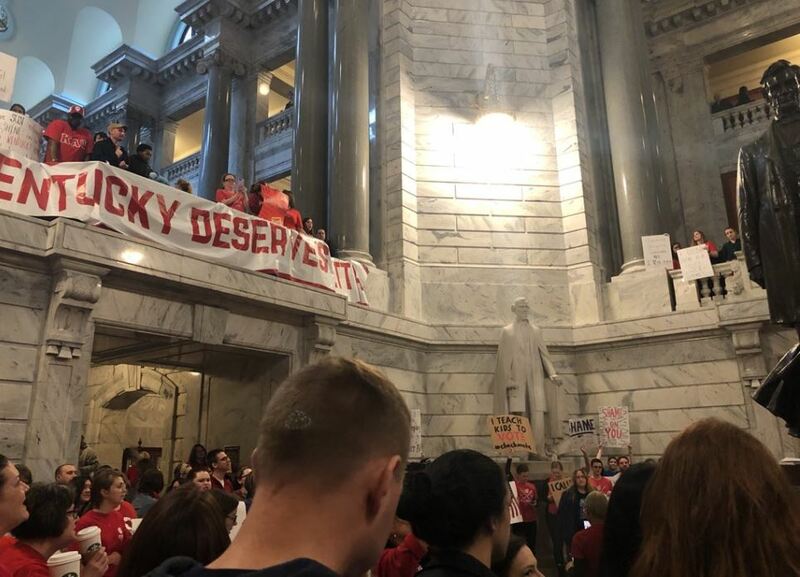 That day, I got a text at 2 PM, saying, “They’re going to try to push this through, you probably want to come to Frankfort.” I got there and sure enough there were a bunch of shenanigans. Nema Brewer is a school district employee and organizer in Fayette County, Kentucky.